I’m reading Alexander Kotov’s excellent book Think Like a Grandmaster, and it occurred to me that a lot of Go players also don’t know how to analyze variations correctly and systematically. Kotov describes a method where he would set up a complicated position, analyze all the variations, write them down, and then establish which of them were worthy of consideration within the demanding conditions of timed play, and which could be left out to save time. Normally a master decides this by intuition, but most of us have to develop our intuition. He developed his by practicing this method and then successfully tried out the same method in study groups, so I thought it would be fun to try it here. I will share interesting positions with the group. Participants should study the position and in the course of 20-30 minutes write down all the variations that they think should be examined. Participants will then share their analysis with the group. Participants should not review any other person’s analysis until they have shared their own. Very nice, I enjoyed Kotov’s books on think, and play like a grandmaster. that was really hard… and i dont doubt my analysis is quite wrong . i gave myself 25 mins, but found i was thinking about the resulting positions more than actually reading different variations . in the analysis i stuck to my preselected moves (you could call it intuition) and didnt have time left to try others. anyway, i found that 2 of my 4 initial ideas probably werent worth the trouble and i discarded a third after a bit more thought and wouldnt want to leave it out of consideration. count me in for the future, if there will be more. You already did a sgf! I used that one. Spoiler. Don’t read if you haven’t participated yet and want to. One thing I noticed so far is that no one found the pro move n3. And no one found LeelaZero’s move j4. 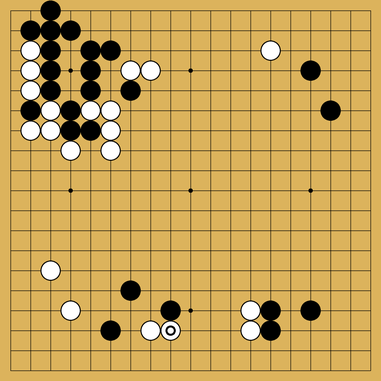 And no one found Zen’s move k4, which was also CrazyStone’s move. None of these got any consideration whatever. 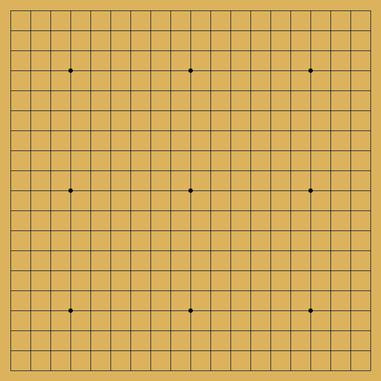 Everyone found l3, a move that LeelaZero thought was better than Zen’s k4, but everyone discarded it, with the possible exception of violaine who didn’t say one way or another. I’ll write my own analysis in a few more days. L3 did look possible to me, but a bit passive. 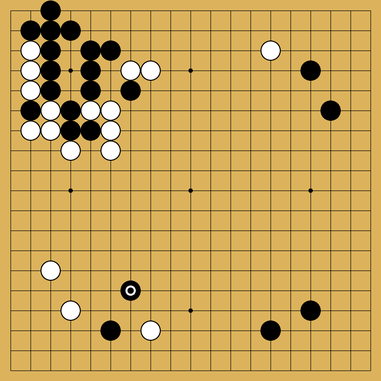 I didn’t think of the bots moves, which put more pressure on b but same time leave more weaknesses. I got that direction to push b to the wall. Darned attachments ^^ … i havent really incorporated them into my play. seems like i should make an effort XD. Here’s my analysis, but consider it more of a sample answer since I checked the answers beforehand and that affected my process. I’ll do my analysis first for any future positions. Why you don’t consider at all H5? The unhelpful answer is: intuition. The truer answer is that attaching would kill the aji there. I can’t exploit the weak connection later if I induce Black to fix it by attaching now. Board 2 is up. Please share your analysis if you want to practice with us. All I would really care about at this point is the balance of power in the lower left. C9 is tempting as it prevents white eyes on the side, but then white can counter attack around F6. So I’d rather have it the other way around, pressure white from the outside and force a reply at C10. 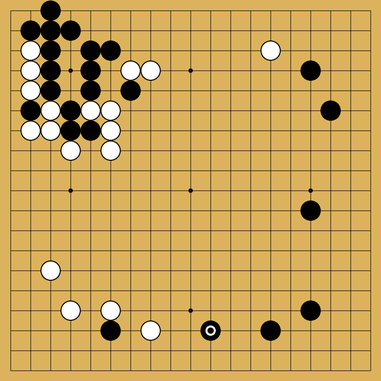 I’d love to play G4 but I don’t see how black can resist a double hane. So I would take some distance and play H5. Don't peek before you analyze the position! Park Junghwan has a very interesting and instructive style. As opposed to super sharp, super aggressive players like Mi Yuting, he tends to play very solid shapes, without many weaknesses. 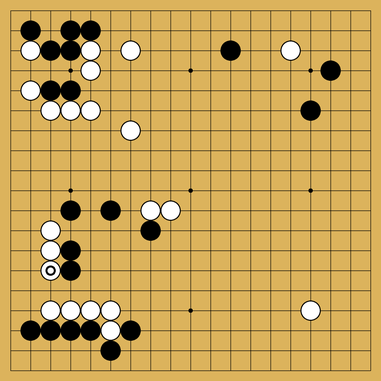 Unlike Lee Changho’s “play solidly and then win the endgame,” though, he takes his solid shapes and uses them to cut up his opponent’s groups, often starting big ko fights and winning them. His ko-fighting successes, of course, are in no small part due to the lack of ko-threatable weaknesses he tends to leave behind, compared to some of his opponents. I think the point of the exercise is not to reveal the pro move. @mark5000 will do it along with the analysis. For the record it seems that the pro didn’t play the best move anyway. another very hard problem . its mazing how little time 20 minutes are… looking forward to viewing the other analysis everyone did. It’s an interesting game, so I figure’d I’d share it in case anyone else wanted to take a look.